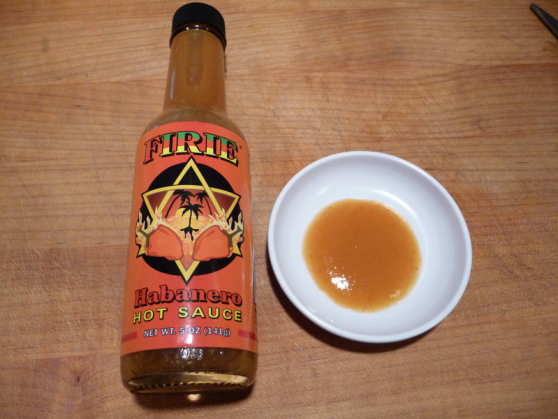 Firie Habanero Hot Sauce from Smoking J’s Hot Sauce Company out of Candler NC is a Caribbean style hot sauce. Smoking J’s is a family owned business in western NC… they grow their own habaneros on their 10 acre farm, they smoke the peppers with applewood for hours and create their own mash. These guys are making small batch sauces with attention to fresh ingredients. They’re members of the Appalacian Sustainable Agriculture Project as well as the Appalacian Grown Fresh Foods group. While their Firie Habanero Hot Sauce was their first product to market, owner Joel Mowrey tells me they recently launched some other fiery goodies – namely Jamaican Ginger Hot Sauce, Roasted Ghost Hot Sauce and Smoky Mango Habanero Hot Sauces. They are also now offering a Pico de Gallo Salsa and a Roasted Ghost Salsa. 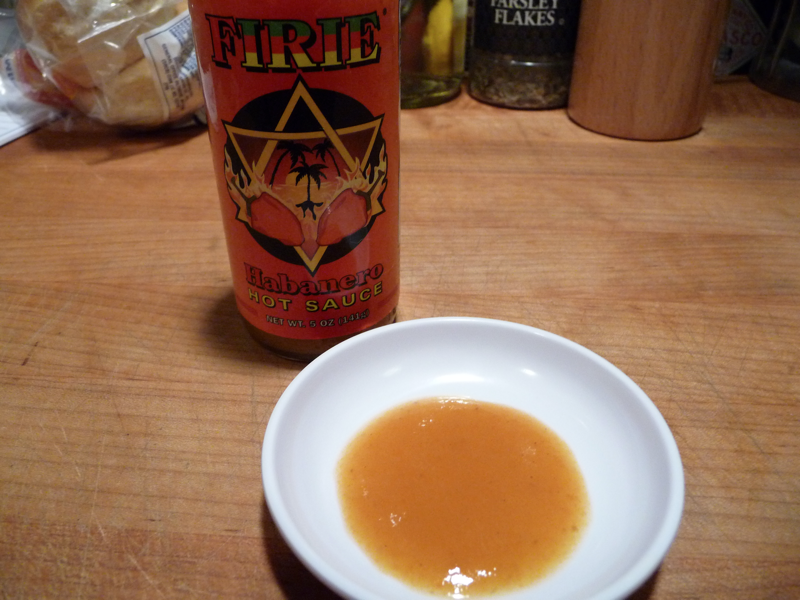 But this review is about the Firie Sauce… now, Firie is spelled F I R I E as in Irie. Irie Mon. 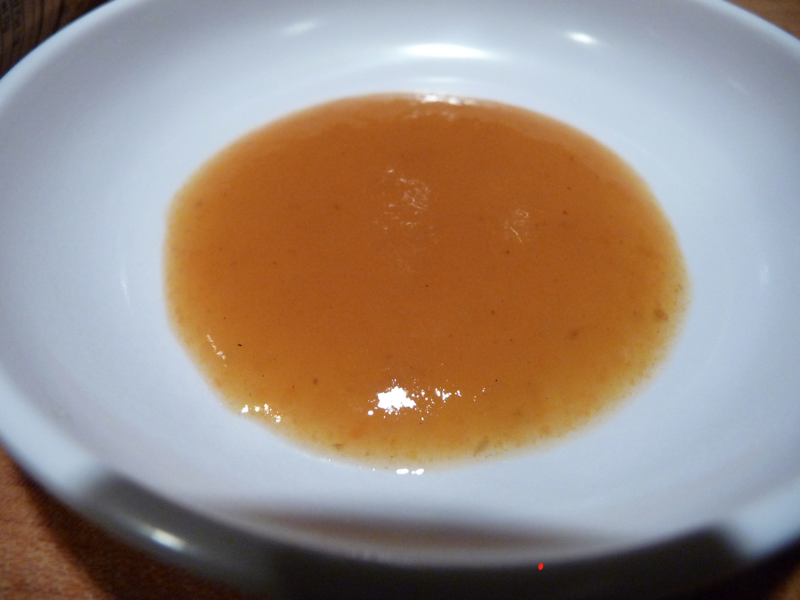 It’s a Caribbean style sauce – made with smoked habaneros and mangos, along with vinegar, carrots, sugar, garlic, lime juice and curry powder. I’ve never been a big fan of habanero sauces, as my tastes run toward darker, smoky flavors, but I’ve had a few that I like above the others – Orange Rush, Sting-Rays among a few. But this sauce is a quality sauce. When I poured some of this Firie sauce onto a piece of pita bread and tasted it, my first thought was “pretty basic” tastes like a fruit and habanero sauce – like most others. With it’s standard orange color, it also looks like every other habby sauce but then the burn kicked in. This stuff is hot! A medium hot hot. Another pour and a few tastes later, my head was sweating and I was beginning to pick up on the subtleties of what clearly is a unique sauce. Mainly the smokiness of the habaneros started coming thru and there’s that hint of curry powder to give it a different spiciness. I like it when hot sauce has some sweetness to it. A good balance. And the mangos, carrots and sugar bring a nice sweet blend, with the garlic very light and way in the background. As I said, I’m far from the expert on habanero sauces, but I do like this one. And there’s no refrigeration needed so you can keep this out on the table for everyday use! As I finish this up, I’m waiting for my taco meat to finish cooking – want to try some Firie Habanero on the tacos. Texture & Appearance: – a thin consistency – when the first ingredient is water, it’s not gonna be thick. Taste: – again a habanero flavor winner with me. Heat Level: – lots of short lived heat here. Burns briefly, then it goes away. Label/Graphics: – The label is very confusing with the Star of David behind two large peppers (we think they’re peppers), flames and palm trees are here too. Overall Rating: – a winner of a habanero sauce for me… just needs some body and pulp for me to give it a 4 or 5 Star rating. Visit Smoking J’s Fiery Foods to order a few bottles of this very unique, fresh Habanero sauce, and tell ’em HotSauceDaily.com sent you! Now this this is a well written review. I’m such a hot sauce baby that even habanaro sauce scares me. Thanks for the comment addition, I was wondering what you thought after it found it’s way to your beef. Nice site you have here, I’m a new subscriber. Thanks for stopping by my blog and the comment. Look forward to spending some time here. This is a really nice sauce. After first doing a “spoon” test, I thought its applications might be limited, but it really surprised me with its versatility. Joel and I are glad you got a chance to test the sauce and we are pleased that you enjoyed it! Thanks for the nice review, we appreciate it. Also, if you check out the website, we have changed the logo and changed our labels. Just so everyone knows, the firie hab sauce is now called smoky mango habanero. Also, we believe that we have a tasty winner with our roasted ghost line. The flavor of that sauce and salsa are fantastic. We really liked your review as well and we thank you for that. We look forward to hearing what you have to say about the roasted ghost. Again thank you both and thanks to anyone who has tried our products!! All Natural Speciality Gourmet Habanero Hot Sauce. I have tried a lot of hot sauces and this one TOPS them all. This is the BEST hot sauce I have ever had.